When you come to Dias Spring Service, we know that Service is the most important product we provide. We have always been a full service automotive and truck repair and maintenance facility known for our personalized customer service. We take pride in providing exceptional service and it shows. Many of our customers are repeat customers or referrals from friends and family; and we feel fortunate to have many second-generation customers. Thank you for your business and your trust! In addition to our quality alignment and suspension repairs, we also specialize in general automotive maintenance and repair services for cars, trucks, SUVs, motor homes and tractor trailers. You can depend on us to help you get the most service and life out of your vehicle. We’ll get you safely back on the road with the least amount of inconvenience and cost possible. Tie Rod Ends, Idler Arms Pitman Arms, Rack & Pinion, Steering Gears, Control Arm Bushings, Sway Bar Bushings & Links. “The difficult vehicles, we do right away. The impossible ones take us a little longer.” We specialize in the things that other repair facilities can’t do. Utilizing our 100 years of experience, state of the art equipment and facility, we’re easily able to handle complex mechanical and suspension repairs. 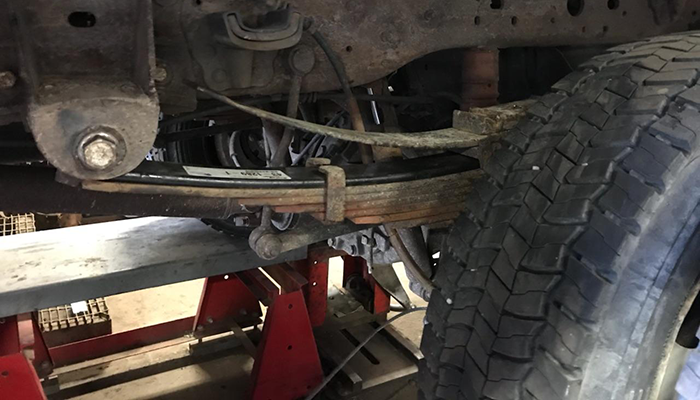 A few examples would be: Our heavy duty frame straightening, axle camber correction on anything from a Model A to a Class 8 Semi Tractor Trailer Truck. 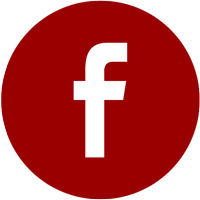 In addition, we are the area’s foremost expert in straightening steel and aluminum rims. Leaf spring repair – we add extra leafs to the spring for additional capacity and handling. 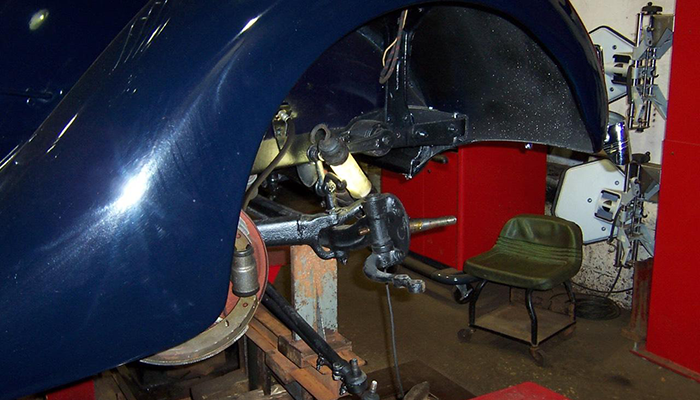 Classic vehicle suspension repair requires skill and experience. Shown: Kingpin repair. 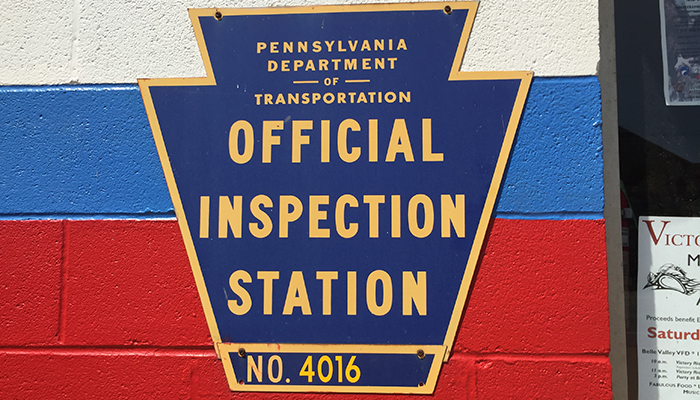 Dias Auto & Truck full service automotive center offers PA State Inspections & Emissions. Cars, trucks, trailers. 814.452.3259. 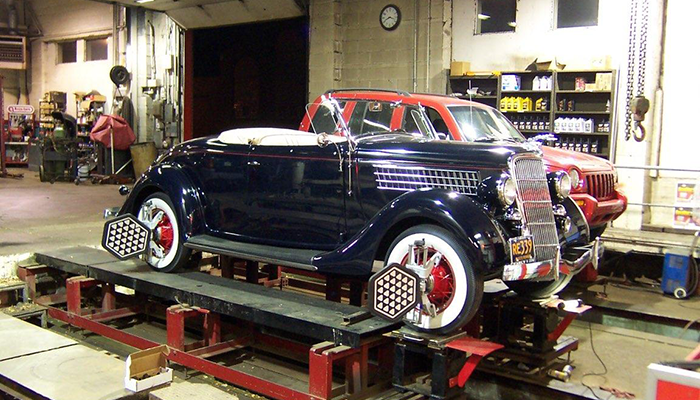 We specialize in antiques, classics, street rod alignment & suspension. “The difficult vehicles we do right away, the impossible ones take us a little longer.